Getting a Auto, Home, or Business Insurance Quote is as Easy at The Insurance Center. Thanks for visiting our site today! We hope that you find it helpful in your search for the right insurance coverage. If you have any questions about our insurance products or the services listed on this site, feel free to call our office. Our customer service team is here to help and answer any questions you may have. As a full-service provider, The Insurance Center will help you find affordable insurance coverage that will meet your needs. But we don’t stop there! We at the The Insurance Center we firmly believe that customer satisfaction results from the type of relationship you have with your insurance agency. Tell us your goals, but also let us know about your risks and concerns. If you are looking to protect your home, car, business, or life, we can come up with an insurance plan that makes you feel comfortable, but doesn’t break the bank. Any Alabama insurance agency can provide you with a quote, but we at The Insurance Center believe that serving you requires more that. Our agency’s main goal is to make sure that you feel confident and secure knowing that you have adequately protected yourself and your assets for the times when life throws you those unexpected curve balls. Take the first step toward securing your future — fill out our online form today and receive a free quote! 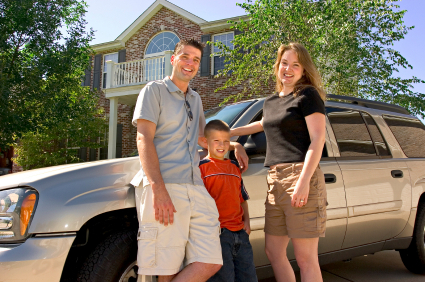 Find out how our clients save up to 30% on their homeowners and auto insurance policies.